Supt Noel Cunningham is scheduled to give evidence. Although Supt Cunningham is not waiving his client/lawyer legal privilege, it is hoped Supt Cunningham will be able to shed light on how and why several specific events occurred at the O’Higgins Commission of Investigation in 2015. 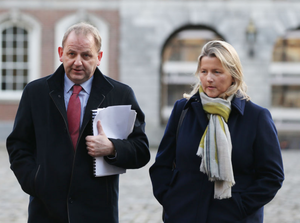 It’s also hoped Supt Cunningham may be able to help shed light on a matter that, to use a term used several times by various counsel at the tribunal, appears to have left solicitor at the Chief State Solicitor’s Office Annemarie Ryan and Michael McDowell SC, for Sgt Maurice McCabe, “diametrically opposed” to each other. 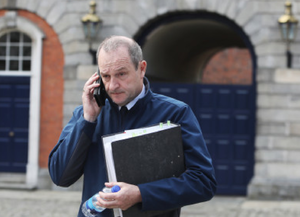 Specifically, Ms Ryan has given evidence to say that she gave Supt Cunningham’s report of an August 2008 meeting with Sgt Maurice McCabe in Mullingar to both the commission and Sgt McCabe’s counsel – namely Mr McDowell – on the morning of May 18, 2015. On Friday, Mr McDowell categorically told the tribunal this didn’t happen. This prompted Mr McDowell to have the following exchange with Judge Peter Charleton. Because Supt Cunningham’s report of this Mullingar meeting matched the transcript of Sgt McCabe’s tape recording of the same. And yet, this fact came as a “total surprise” to Supt Cunningham’s legal team on June 25, 2015, as stated by Michael McNamee BL, for the former Garda Commissioner Noirin O’Sullivan. 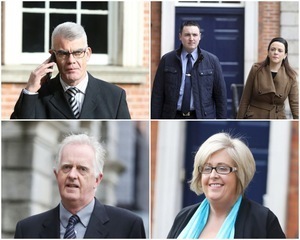 Readers will recall how a legal row broke out at the commission on Friday, May 15, 2015, while retired Chief Supt Colm Rooney was giving evidence. 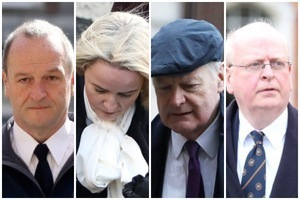 After the row – and after the legal team for then Garda Commissioner Noirin O’Sullivan, Supt Cunningham, Chief Supt Rooney and Supt Michael Clancy, among others said it was Ms O’Sullivan’s instructions to challenge the motivation of Sgt McCabe – Judge Kevin O’Higgins called on Ms O’Sullivan’s legal team to supply the commission and Sgt McCabe with a document outlining the claims that they intended to put to Sgt McCabe. This letter, from the Chief State Solicitor’s office, was submitted to the commission’s chair and Sgt McCabe’s legal team on the morning of May 18, 2015. This letter included an allegation of a blackmail-like scenario against Sgt McCabe in paragraph 19 of the letter. “Having been appointed to investigate Sergeant McCabe’s complaint against Superintendent Clancy, now Superintendent Noel Cunningham, having attempted on a number of occasions to meet with Sergeant McCabe, eventually met with Sergeant McCabe by appointment on the 25th August 2008 in Mullingar Garda Station, to receive details of his formal complaint. Colm Smyth SC, for Ms O’Sullivan and other gardai, put this allegation to Sgt McCabe as he gave evidence on Monday, May 18, 2015 and Sgt McCabe said it was “absolutely false”. 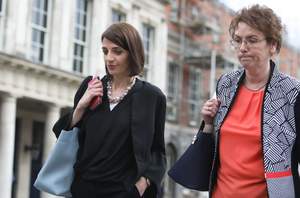 Kathleen Leader BL, for the tribunal, previously said that while Supt Cunningham gave evidence on May 19, 2015, “an issue arose with regard to the circulation of documentation which led to Superintendent Cunningham not completing his evidence on that day”. The tribunal hasn’t heard the details of that issue. In any event, the commission didn’t sit after May 19, 2015 until June 25, 2015. But on June 11, 2015, lengthy submissions were given to the commission and to Sgt McCabe’s legal team, on behalf of Ms O’Sullivan and the other gardai, and in one paragraph, the allegation of blackmail was repeated. And, the submission claimed, evidence would be put forward to support this. On June 25, 2015, when the commission resumed, Judge O’Higgins called into question this blackmail-like allegation as set out in the Chief State Solicitor’s letter of May 18, 2015. This was because, in the intervening period of when the commission wasn’t sitting, Sgt McCabe had provided a secret tape recording of the meeting which proved that no such blackmail situation had unfolded at the meeting. Colm Smyth SC, for the then Garda Commissioner and Supt Cunningham, told Judge O’Higgins that the tape recording “came up somewhat by surprise to us during the course of the examination by me of Superintendent Cunningham, I am going to have to take him through this transcript”. Supt Cunningham then went on to point out that his report of the August 2008 meeting matched the contents of Sgt McCabe’s tape. But when he gave evidence to the tribunal about this “misunderstanding in instructions”, Mr Smyth said, actually, it wasn’t so much of a “misunderstanding” but they were the “wrong instructions”. Mr McNamee also gave evidence about the submissions and said “they were approved before they were delivered”. Readers will also recall how Diarmaid McGuinness SC, for the tribunal, has told the how Supt Cunningham made a statement to the tribunal explaining why he didn’t spot the mistake in the Chief State Solicitor’s letter. Readers may wish to note it was in this exchange Ms Ryan had with Ellen Gleeson BL, for Colm Smyth, that she claimed she gave Supt Cunningham’s report to the commission on the morning of May 18, 2015. #DisclosuresTribunal “…I think it might be appropriate to stand this witness down just for the present purposes and we’ll have [him] recalled hopefully later today.” McDowell tells tribunal the witness being referred to was Supt Cunningham and he was being stood down because..
#DisclosuresTribunal ..NC’s report of Mullingar meeting had NOT been circulated to McCabe’s counsel at that point (May 19, 2015). McDowell said they did not get it later that day. He couldn’t state when he received it but it was some time after. #DisclosuresTribunal McDowell repeats the matter wasn’t sorted out until late June (when the Comm resumed and after McCabe’s tape was produced) and that this took place AFTER the submissions (which repeated wrong claims of CSS letter) were entered on June 11, 2015. Posted in Misc and tagged Annemarie Ryan, Disclosures Tribunal, Michael McDowell, Noel Cunningham at 10:40 am on February 5, 2018 by Bodger. So Annemarie Ryan is being contradicted by Mr Mc Dowell, Mr Smyth and Mr Mc Namee. She did NOT hand them Supt Cunninghams and Sgt Martins statement at the O Higgins which directly contradicted State Solicitors Creedons letter. (which was before O Higgins). Another error not in favour of Maurice and a collosal error that caused Maurice to break down in tears. I’d recall her for sure to clarify exactly who she handed these vital statements to. I feel a dose of amnesia coming over me. Did the public think Judge Charleston was not as fragrant to Mr John Barratt?! Charleton has been less than impressive. Comes across as almost bored with the whole thing except for giving Barrett an above normal grilling compared to the other witnesses. How fortuitous all these “errors” seem to be for the gardai. This is beyond a joke. Anyone else would be arrested & charged. Wouldn’t it be great if all thugs could say, didn’t mean to forge documents, made an error, whoopsie? They can do whatever the like to people. It seems McDowell has to spell it out for Charleton. Disgusting behaviour is what he’s saying. Where would McCabe be without the recording? No “errors” corrected until he could produce the recording. Of course. They never would have become errors, except for McCabe’s recording.